Transcranial brain stimulation has received an increased interest among the scientific community due its capability to modulate cortical excitability, which in turn modifies brain functions resulting in neuroplastic changes. In particular, transcranial direct current stimulation (tDCS) has been widely explored for its clinical efficacy, safety, painlessness, portability, ease of application, low cost, well-tolerated among patients, and positive clinical results seen within a few weeks. This noninvasive brain therapy has been used as an adjuvant tool for treating neurological and psychiatric diseases such as chronic pain, depression, obesity, memory and others. The basic principle of tDCS is modulating cerebral functions through applying a weak and direct electric current over the target cortical area. 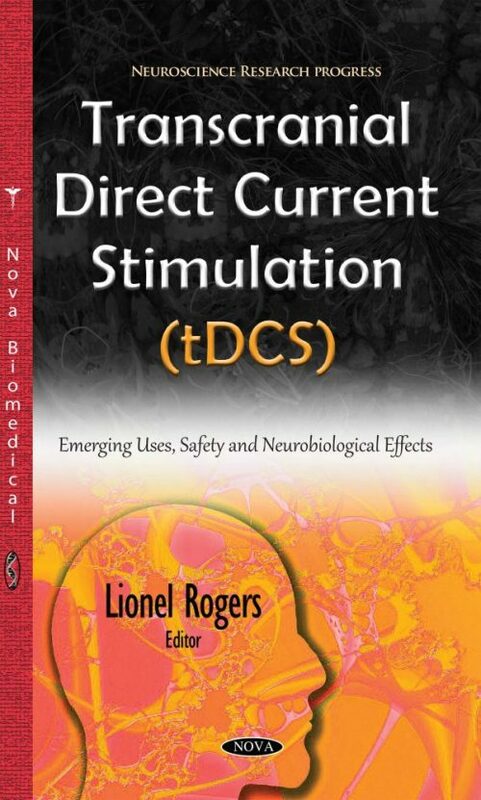 The first chapter of this book provides current research on tDCS and neuroplasticity. Chapter Two provides definitions of dosimetry from both safety and efficacy standpoints and proposes 14 guidelines for safe and effective application of tDCS. Chapter Three examines the use of tDCS and other rehabilitation techniques for patients to improve upper limb motor function after suffering from a stroke. The final chapter studies the effects of cathodal transcranial direct stimulation on epileptic patients.